NETANYAHU = OFFERS THE SAME UGLY GLOBAL FACE OF ISRAELI TERRORISM and LIES + SUCCESSIVE ATTACKS AND MASS MURDERS CHILDREN IN PALESTINE = TURNED PUBLIC OPINION WORLDWIDE AGAINST ISRAEL = NOW WORST EVEN IN BOTH EUROPE AND USA | Concise Politics -- Your Time should NOT be wasted. Both Israeli Parties support Israel’s human rights violations against the Palestinians + Apartheid walls and PRISON LIMITS + Attacks against the people in Gaza. = SAME WAR CRIMINAL POLICIES INCLUDING MASS MURDER AND LAND ROBBERY. Zionist Union’s major election issue = Housing crisis in Israel + NO mention of repairing the damage done to 1,000s of homes destroyed in Gaza. SO SAD: ISRAEL IS SO SICK EVEN THE PEACE PARTY = ZIONIST UNION = MASS MURDERERS! BUT PROBABLY HE IS BETTER THAN HISTORIC LIAR AND WAR CRIMINAL NETANYAHU! Isaac Herzog = Replacement for Netanyahu = SAME LIES AND AGGRESSION BUT FROM A SO CALLED PEACE PARTY – ISRAELIS HAVE NO OPTIONS! HE SPOUTS SAME LIES ABOUT TUNNELS AND THOUSANDS OF KIDNAPPINGS AND MURDERS BY PALESTINIANS (NONE EXIST)! He uses LEGAL COUNSELING AS EXCUSE TO MASS MURDERS OF CHILDREN! He questions all FACTS and SPINS MASSIVE LIES TO CONTINUE MASS MURDERS = JUST LIKE NETANYAHU! Netanyahu = Global face of the ugliest side of Israeli politics. Mao’s Principle = Greater “Suffering of the people will hasten the revolution.” An essential truth to Mao: human beings respond only to crisis. Wishing more suffering of the Palestinian people = Nearly Impossible to achieve after MASS MURDERS and OVERWHELMING DESTRUCTION of LIFE SUPPORTS by ISRAELIS over 6 Years. Anyone who visited the occupied West Bank or Gaza Strip has seen the daily crisis for Palestinians. Politicians will only make changes when the alarm bells ring so loudly they have no choice. Research findings = People do not take action on FIRST WARNINGS but seek more info about the impending hazard and possible responses. Only with clear second, third, or fourth warnings with clear explanations of need for an immediate response, will they act. Palestine: A glimmer of hope may be a victory for Netanyahu in Israel’s general election as the last and final WARNING. Netanyahu’s = Completely Failed Domestic Agenda was covered up like a cat in a litter box by the Iranian question argued illegally in front of US Congress = Seriously Damaged US-Israeli Relations. But 100% of AIPAC OWNED USA Senate voted to fund more weapons for Israel to MASS MURDER during the 2014 attacks on Palestinians. Netanyahu’s ultra-belligerence = Wipes out any MORAL EQUIVALENCY of the most pro-Israel Western politicians. CENTER-RIGHT Zionist Union SUPER-VIOLENT ALSO “SO-CALLED PEACE” PARTY win in election = Provides Easy Excuse for repair of damage to US-Israeli relationship = A different FACE of Israeli to USA & European public. = Herzog and Livni can then FAKE more of endless peace processb THEATER. 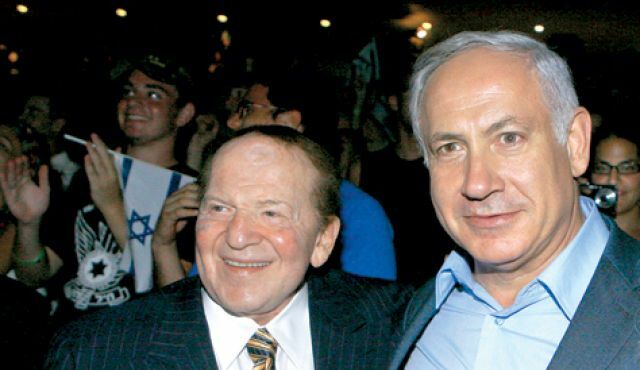 Netanyahu’s victory in election keeps the same DISTASTEFUL FACE and continues the USA-ISRAEL CRISIS. Since Oslo accords = Israel’s two decades of FAKED peace THEATER = Offers NEXT TO NOTHING TO PALESTINIANS, while continuously expanding ILLEGAL settlements in the West Bank and STRANGLING Gaza. = ALL ISRAELI LEADERS ARE EVIL AND BASICALLY HAVE SIMILAR POLICIES. Both Parties support Israel’s human rights violations against the Palestinians + Apartheid wall in the West Bank + Attacks against the people in Gaza. = SAME WAR CRIMINAL POLICIES OF MASS MURDER AND LAND ROBBERY. Netanyahu = Offers the UGLY global face of ISRAEL TERROR and LIES + Successive attacks and MASS MURDERS of Palestinians. = Turned public opinion WORLDWIDE against Israel = Worst ever in both Europe and the US. NETANYAHU = The loudest alarm bell EVER!!! This entry was posted in NETANYAHU = OFFERS THE SAME UGLY GLOBAL FACE OF ISRAELI TERRORISM and LIES + SUCCESSIVE ATTACKS AND MASS MURDERS CHILDREN IN PALESTINE = TURNED PUBLIC OPINION WORLDWIDE AGAINST ISRAEL = NOW WORST EVEN and tagged NETANYAHU = OFFERS THE SAME UGLY GLOBAL FACE OF ISRAELI TERRORISM and LIES + SUCCESSIVE ATTACKS AND MASS MURDERS CHILDREN IN PALESTINE = TURNED PUBLIC OPINION WORLDWIDE AGAINST ISRAEL = NOW WORST EVEN. Bookmark the permalink. ← ZIONIST WESTERN-MEDIA = SELL THE ISIS(L) CALIPHATE AS HAVING SOME STRANGE MYSTERIOUS POWERS WHEN ALL IT IS – IS SAUDI-WAHHABIASM VIOLENCE UNLEASHED TO DO MASS MURDERS AND RAPES = REPLACEMENT ENEMY for WORN OUT AQ BIN LADEN THE ISRAELI NEOCONS INVENTED.